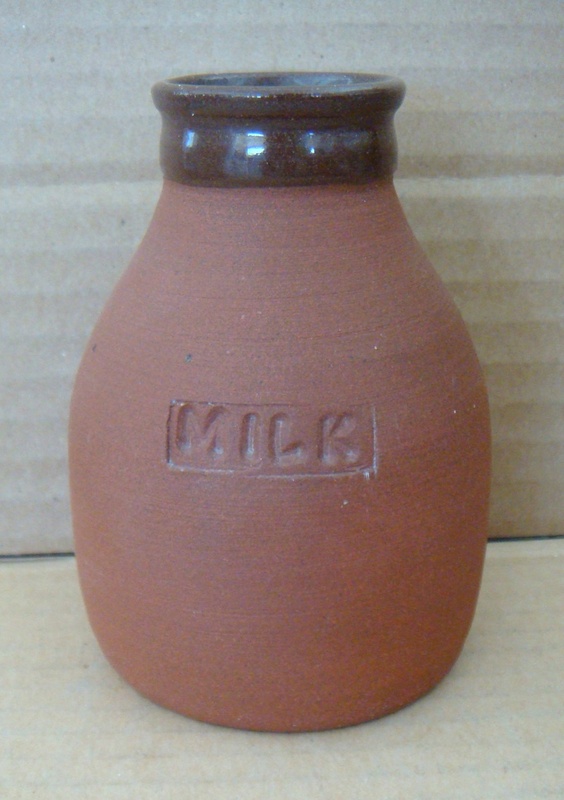 This little milk bottle is soooo cute! Similar to the Rhodes vases, unglazed on most of the outside, is fully glazed inside and on the top half, rather than the bottom half. 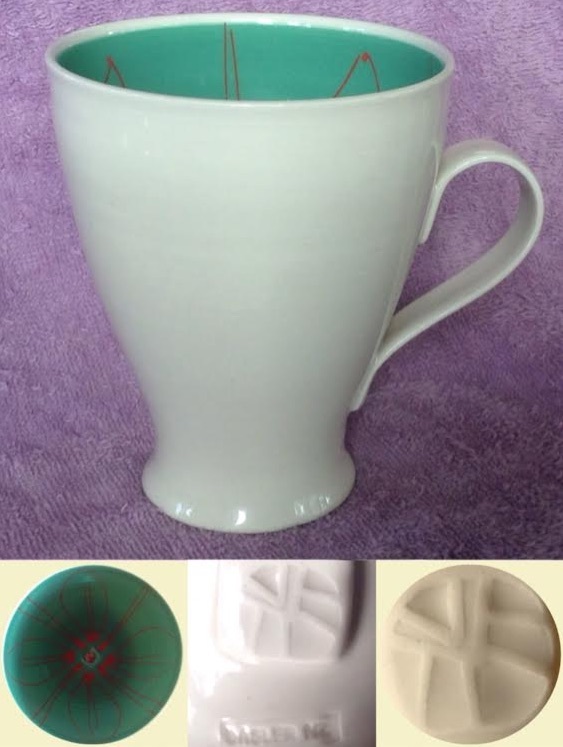 Sue Dasler Tapa pattern mug. When touring Nelson last year I became aware of a trend among Nelson potters for ceramics with such high production values that it just doesn't sound right to me to refer to them as pottery. This description applies to the work of many of the artists selling at South Street Gallery, including Stephen Robertson, Sue Newitt, Erika Aupperle, and of course Sue Dasler. 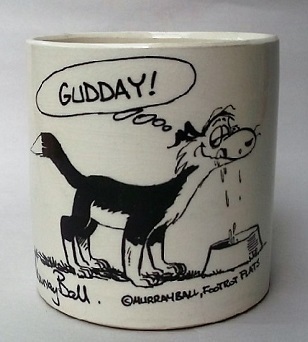 I bought mugs by Newitt and Aupperle there but there were only cups and saucers by Sue D. Same at the Coolstore in Mapua, which was a great pity as I was really impressed by her work and did want to buy a piece. It's been two years since I bought anything at North City Traders in Kamo but I have dropped in there religiously every week or two. I was not going to bother yesterday but am so pleased I did. I found a Sue Dasler mug for $2. I love it. 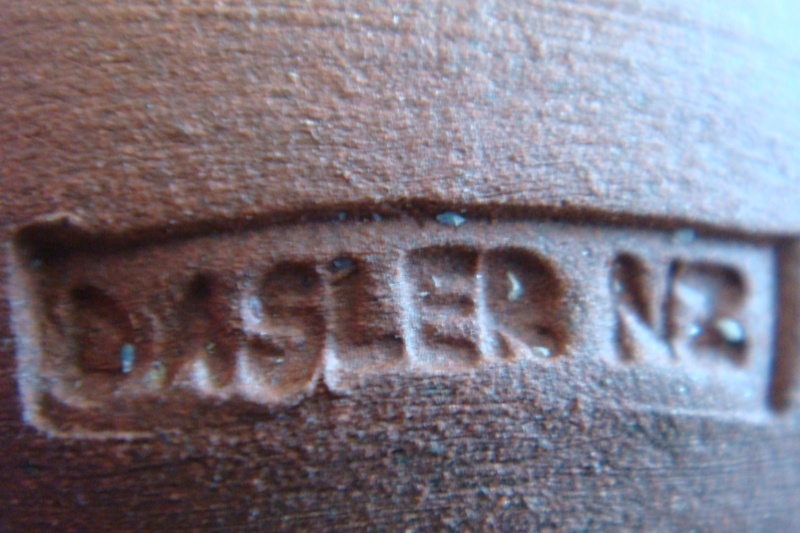 Is the impression on the handle also a Sue Dasler mark? The stamp on the handle will be for decoration. but basically they call themselves potters.